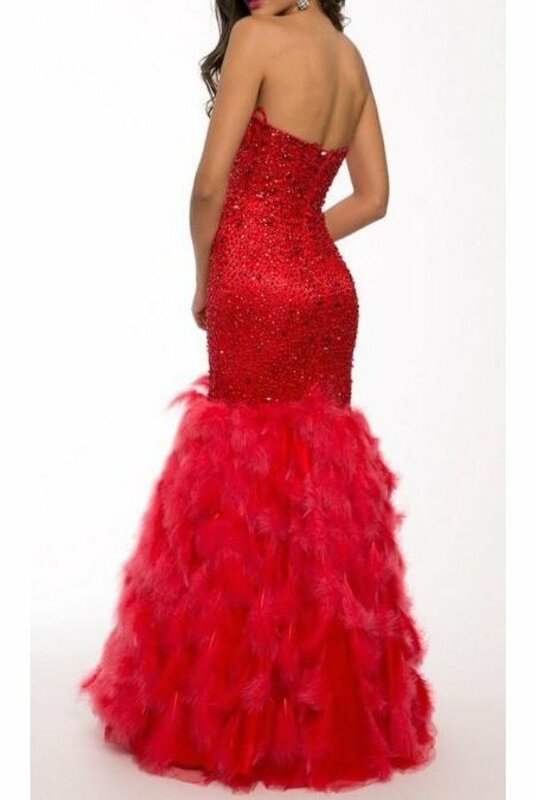 Beautiful strapless red mermaid gown features a sweetheart neckline and crystal adorned bodice paired with a fun and sassy feather skirt. Jovani 92526. According to customer reviews, fits true to size. Bust: 32 inches / Waist: 25 ½ inches / Hips: 36 inches. Length:Approximately 55 inches.